BEST PRICED VILLA IN RIVERWOOD - Large Villa 3 bedrooms + a DEN. Great privacy with this Villa! Large & Spacious 1800 + sq. ft. 3 Bedroom PLUS Den home. Private Driveway. The large kitchen offers an abundance of room to cook and entertain, nice breakfast bar, large kitchen island, 42 cabinets with crown molding. A newer Kinetico reverse osmosis water system in kitchen. NEW A/C Sept 2018. Home features, Hurricane window protection, open split floor plan with tile on the diagonal IN ALL rooms except bedrooms (new carpet 2015). 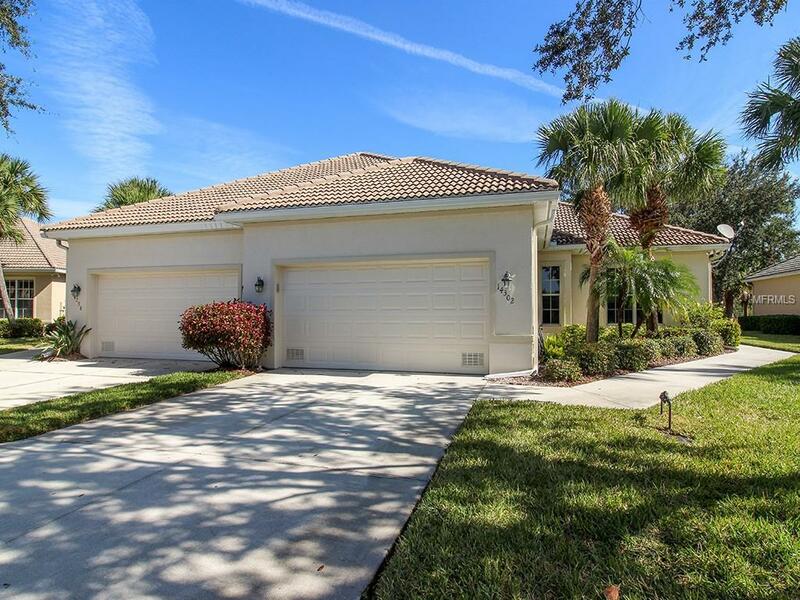 Enjoy Florida evenings on the extended tiled lanai with garden area looking over private preserve. Master Bedroom closet has deluxe Built-ins and Bath has $14k Therapeutic Tub. Riverwood was recently designated an Audubon Green Community for its rich natural habitat. The Activities Center is available to all residents of Riverwood and features a state of the art fitness center, Jr Olympic pool, spa, tennis, and wide array of classes, activities and social events. Youll also enjoy miles of sidewalks for walking and biking enjoyment. The Riverwood Golf Club, an award winning 4 star Golf Digest course, Recently voted in TOP 50 PLACES TO PLAY GOLF IN US, 2018 (#25) (#4 in Florida) by GOLF ADVISOR. A Dog Park, and Beach Club (Membership not included) are all vibrant parts of the community. Kitchen Wallpaper to be removed December.